Shining the Light on free-light Solar Lights! Column, Pillar and Post Mount - Post Mount GALAXY Black. 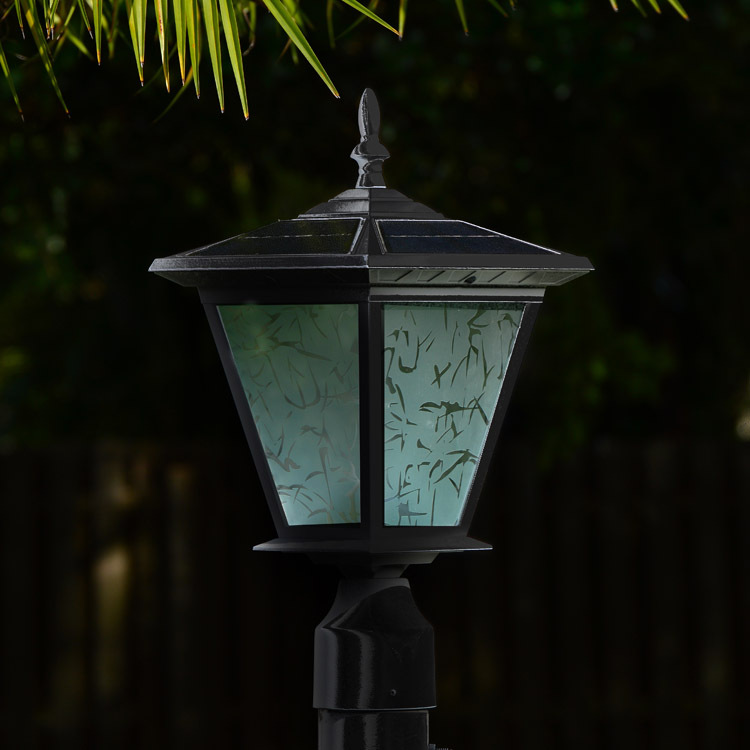 Classic styling for our versatile GALAXY post (or column) mount solar light in a black finish. Cast aluminum construction with frosted glass lenses. 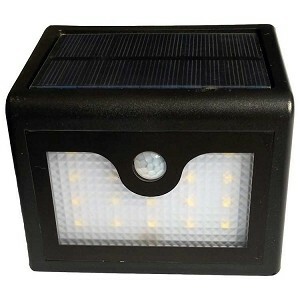 8W solar panel and 36 super bright LEDs offer lots of light for up to 8 hours each night. Ideal for posts that have lost hydro or gas retrofits. 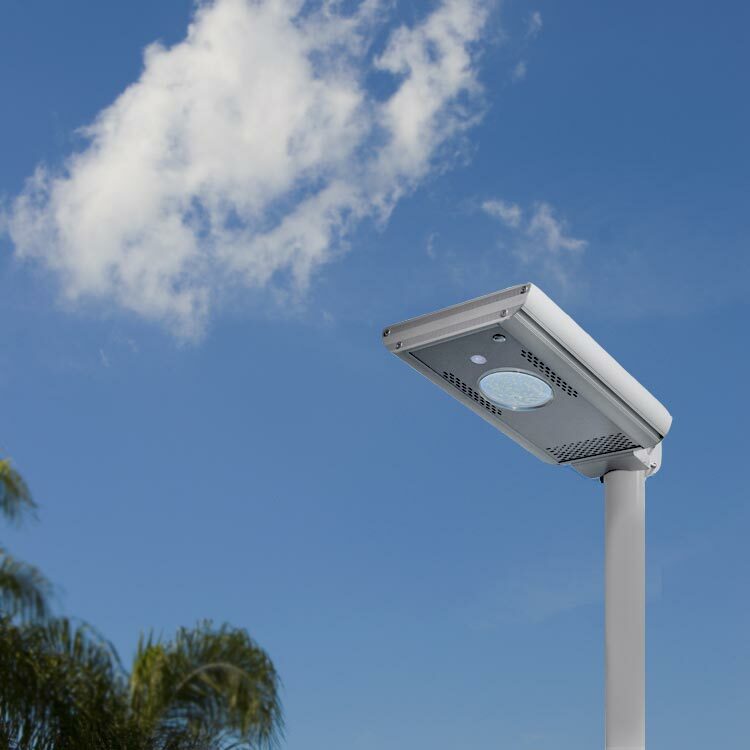 See more Column, Pillar and Post Solar Lights. Courtyard - RA60 - The all in one solar driveway, parking lot, courtyard light. 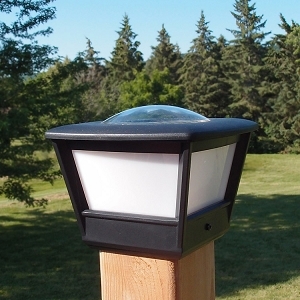 This dusk to dawn fully powered solar light can go for as long as 10 days with NO sunshine on a full charge. The RA60 features low power consumption electronics and MPPT solar tracking charging ability. 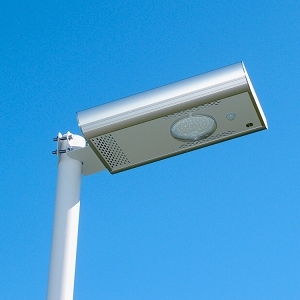 Includes 8 lighting modes and year round capabilities. 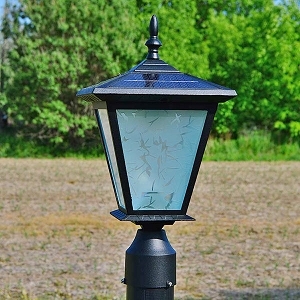 See our complete collection of Courtyard Solar Lights. Driveway Parking - RA20. 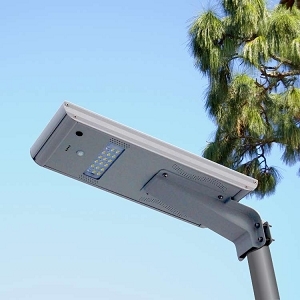 The RA20 is the easy choice to light up your parking lot, walking trails, super mailbox area, driveway or secure area. Requires NO electrical lines - simply sunlight. Easy to install, the RA20 has a powerful solar panel to charge its high capacity internal battery. Recommended mount height of 10-11' will produce 40' of light. 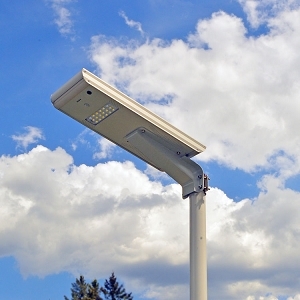 Browse all the Driveway Parking Solar Light solutions from free-light. Garden Deck - Wall Mount Vista. A simple solution for car parks, entrances and walkways, VISTA only needs a single screw to install. Then you're done. VISTA's motion activated super bright entrance or stair light automatically turns on at night at 20% brightness until someone walks by when it goes to full power for 20 seconds. See all the versatile multi-purpose free-lights for gardens, pathways, walkways, decks, porches and patios! Fence Post - Coach4. A smart and great looking solution for ugly fence post caps, Coach4 offers 8 super bright LEDs and a large lens to produce lots of light. Domed cover allows leaves and snow to slide off to continue efficiently charging the light year after year. Mounts on a standard 4x4 finished wood post (actual size 3.5x 3.5") AND will work on PVC, aluminum and synthetic fence posts measuring 4"x 4". COACH4 Solar Post Cap Light has a 3-year guarantee INCLUDING the battery! 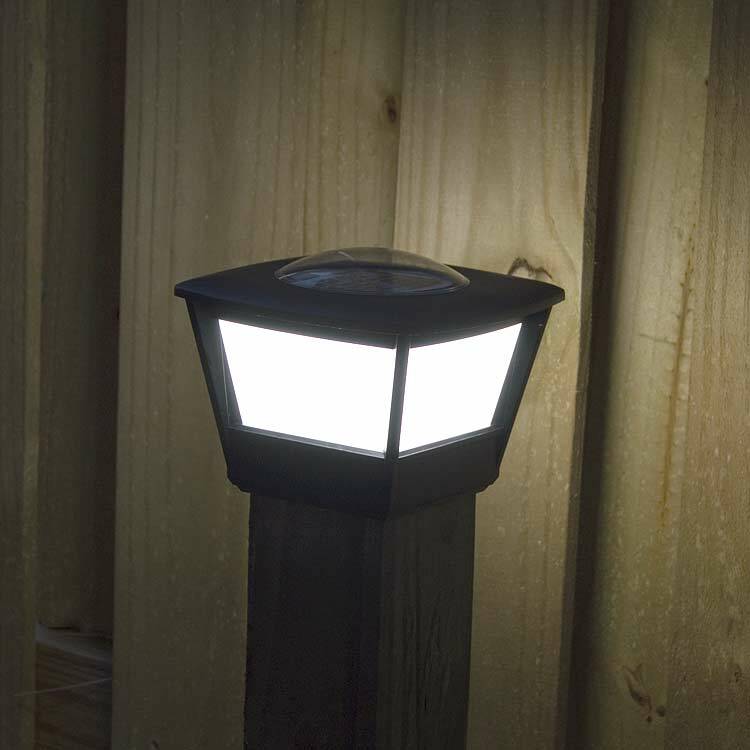 See how you can improve the look of your fences with free-light. What makes free-light solar lighting products different? We use 6 to 36 LEDs to provide plentiful natural soft light. Check out the other guys. You'll find they use 1-5 LEDs, producing a puny amount of light. Our high efficiency solar panels charge up to 4 times faster than the others. free-light solar panels are rated for 20 years of use compared to others that fade or yellow in a short amount of time. Nobody does it like free-light!